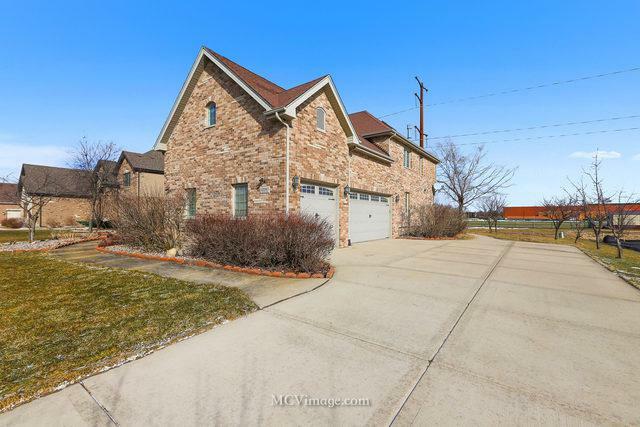 4161 Sq/ft Two Story nestled on .34 acre lot backing to Hickory Creek Middle School. 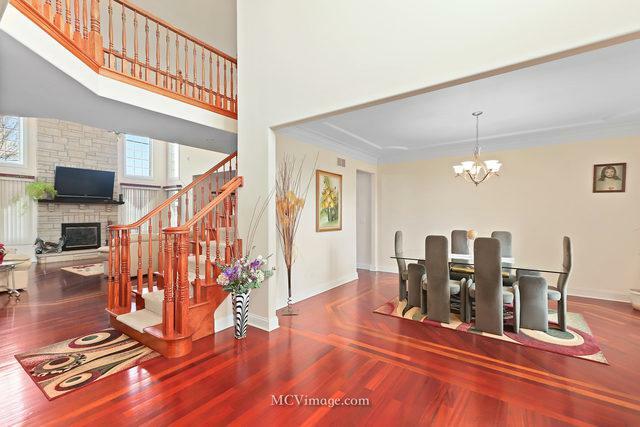 Two story foyer opens to living room & dining rooms. 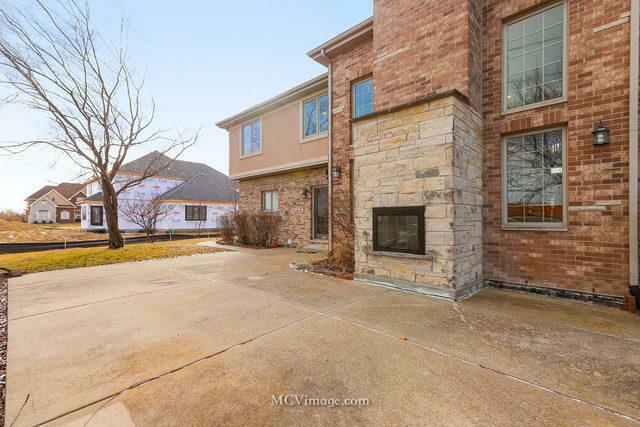 Family room with high ceilings & lime stone fireplace open to Gourmet sized kitchen with Viking appliances, large center Island, walk-in pantry, granite counter tops, back splash & breakfast area! Main floor office/den can be 5th bedroom. Brazilian cherry floors throughout main level and master suite. Four generously sized second floor bedrooms one of them is an ensuite. Beautiful master bedroom suite with double sided fireplace and spa bath with jetted tub and separate shower. Huge bonus area off master bedroom - perfect for office, nursery or exercise area! Professionally finished basement boasts recreation room, wet bar, full bath and large storage area. Outdoor living space offering large patio with fireplace. 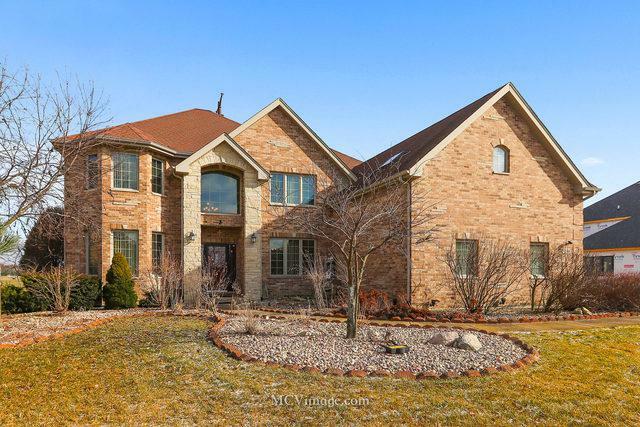 Minutes to award winning Lincolnway Schools, Brookmeadow Park, shopping, dining and Metra. LIVE & ENJOY!